A guarantee is a promise, made by a guarantor, to fulfil the obligations of a third party if that third party fails to do so. It is a contractual agreement that creates a secondary obligation to support a primary obligation of one party to another. The primary obligation may be, for instance, to repay a loan made by a lender to a borrower. If the lender has doubts about the borrower’s ability to perform its primary obligations, it might seek a guarantee. The guarantor promises the lender that the borrower will perform its obligations and, if it does not do so for any reason, the guarantor will perform them on its behalf. The obligation is usually a payment obligation, but it can also be a performance obligation (such as a guarantee to take over building works under a construction contract). A guarantor may be released from his obligations if any of the underlying obligations and liabilities which are being guaranteed are sufficiently varied in their extent, nature or scope; even where the guarantor has given advance consent to any future variations, and even if the guarantor is aware of the variations at the time they are made. 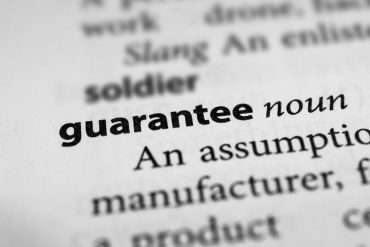 A guarantee will often contain an express provision that permits, and provides for, the guarantor to remain liable in respect of future changes and variations to any of the underlying guaranteed obligations. This fosters flexibility for debtor and creditor as it allows them to agree variations to the original arrangements without the need to seek consent from the guarantor. On the other hand, it can lead to unexpected consequences for a guarantor (especially, but not exclusively, where the guarantor has no knowledge of the variations made). is something substantially different in scope to that originally anticipated or intended. This was tested most recently in Maxted and another –v- Investec Bank , which concerned variations to underlying bank facilities that allowed loan interest to be rolled-up, and successive extensions to the term of the loan. The guarantor argued that the variations were outside the scope of any variation anticipated or contemplated under the original arrangements when they were entered into with the bank. Although the Court rejected the argument, banks and lenders should recognise the prospect that where security in the form of a guarantee has been given, that security will be put at risk if any variations are made to the underlying obligations which are serious and substantial, and go beyond what was originally contemplated or intended. If there are any concerns as to whether this might be the case, the lender should consider a new guarantee or an amendment to the existing guarantee. For a guarantor, there may be an argument against enforcement, and in favour of the guarantor’s release, if the Court can be persuaded that variations made to the underlying obligations are sufficiently serious and substantial and change the nature, scope or extent of the obligations as they were originally envisaged. This may well provide an escape route for the guarantor.